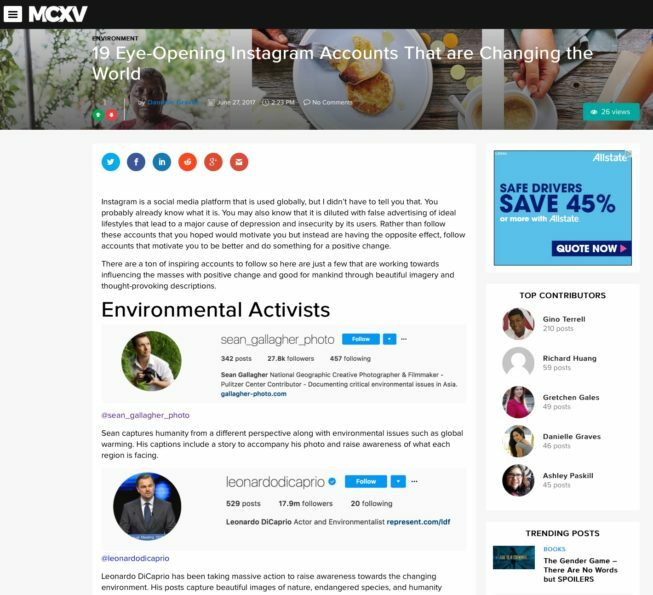 Quick post today to say thank you to the team at MCXV for including my Instagram account in their recent post “19 Eye-Opening Instagram Accounts That are Changing the World”. Very flattered to be included alongside some truly important accounts run by individuals and organisations who are trying to make a difference in the world. Be sure to follow all the other accounts, especially my friends at Everyday Climate Change to which I also contribute.